An annulment of a marriage is not a dissolution, but a declaration that no marriage exists between the parties. Grounds for annulment include polygamy, consanguinity, mental incompetence, minority, impotency, duress and fraud going to the essence of the marriage. Careful analysis must be made to determine whether an annulment is the appropriate course of action. To learn more about the representation the firm offers, schedule your initial consultation by calling toll free 617-723-9900 or contacting Mavrides Law by email. In certain situations, a married couple (or individual spouse) may prefer annulment to a divorce. Some individuals seek an annulment because divorce is not sanctioned by their church, or may not be in line with their religious or personal values. Other individuals feel that they were defrauded by their spouse. Perhaps their spouse concealed the fact that he or she is unable to have children. In other cases, people have gotten married while they were unable to make an informed decision or have some form of impairment. Am I Eligible to Obtain an Annulment? 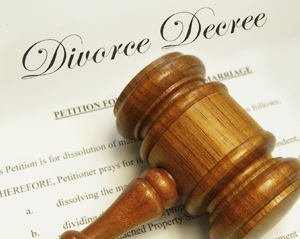 A divorce dissolves a marriage. By contrast, an annulment declares a marriage to be void — as if it never happened in the eyes of the law. Accordingly, judges do not issue annulments lightly. However, if both parties are in agreement and the facts of a case warrant an annulment, the procedure for obtaining an annulment is fairly straightforward. Cases are obviously more complex when one of the spouses is opposed to an annulment and disputes the factual basis for an annulment. However, attorney Marcia Mavrides is an accomplished trial lawyer who has been handling family law cases for more than 30 years. If retained to handle your case, the attorneys at Mavrides Law will work diligently to protect your rights and seek the legal relief you require. To speak with an attorney about an annulment, contact Mavrides Law in Quincy or Boston, Massachusetts. To schedule an initial consultation, call 617-723-9900 or contact the firm by email.